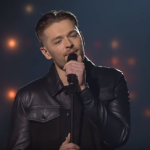 Lithuania begins tonight its quest for the next Eurovision representative, as the the first preliminary round of Eurovizija 2019 will take place . This year’s edition of Eurovizija will consist of 4 qualifying rounds, 2 semi finals and one grand final which is set to be held on February 23. Mid December the national broadcaster had revealed the 49 participations of this year’s national selection . Lithuania has participated in the Eurovision Song Contest 19 times since its debut in 1994, when Ovidijus Vyšniauskas finished last, receiving nul points. Lithuania withdrew from the contest, not returning until 1999. LT United’s sixth place in 2006 with the song “We Are the Winners” is Lithuania’s best result in the contest. The country reached the top ten for a second time in 2016, when Donny Montell finished ninth with “I’ve Been Waiting for This Night”. This year the country was represented by Ieva Zasimaskaite with her touching song When We’re Old, which finished 12th in the grand final.